1. Many do not know that the Maharal's real name is Rabbi Judah Loew ben Bezalel, which forms the acronym by which he is known - Morenu Hagadol Rabbi Loew (= Maharal). His name "Loew" means “lion” in German. In German literature he is called "the tall Rabbi Löw." In the Ashkenazi Jewish tradition, the name "Loew" was often attached to the name Judah, since the symbol of the tribe of Judah was a lion. 2. Maharal's family lineage goes back to King David, and he saw himself as following his path. The Elder Rabbi Loew of Prague - the Maharal grandfather's grandfather — was a descendant of Rabbi Hai Gaon, who came from a distinguished line of Gaonim, Saboraim, Amoraim, Tannaim and Exhilarchs. 3. It is said that the Maharal had never studied in a yeshiva, but had only learned from books and independent study. Unlike his brother, it is not known whether he learned from any distinguished rabbi. He doesn’t mention any mentor in his writings. 4. The Maharal married Pearl at the age of 32 years old (when she was 28 years old). She was the industrious daughter of Samuel Shmelka Reich, one of the richest men in Prague. On the day of their engagement, a sudden fire broke out in Prague in which all the property of Rabbi Shmuel Reich went up in fire. Jews were accused of arson, and many Christians attacked Jewish homes. The Reich family’s now impoverished state led to attempts by various parties to sabotage the Maharal and Pearl’s marriage. The bride's father himself thought that the match should be cancelled, because he had signed on it when he was wealthy and now his situation had changed drastically. The Maharal’s family firmly refused to embarrass a worthy Jewish daughter, and said that they would trust in G-d to save the situation. Slowly, life returned to normal, Rabbi Shmuel got rich again, and the happy couple finally married. They had six daughters and one son. 5. 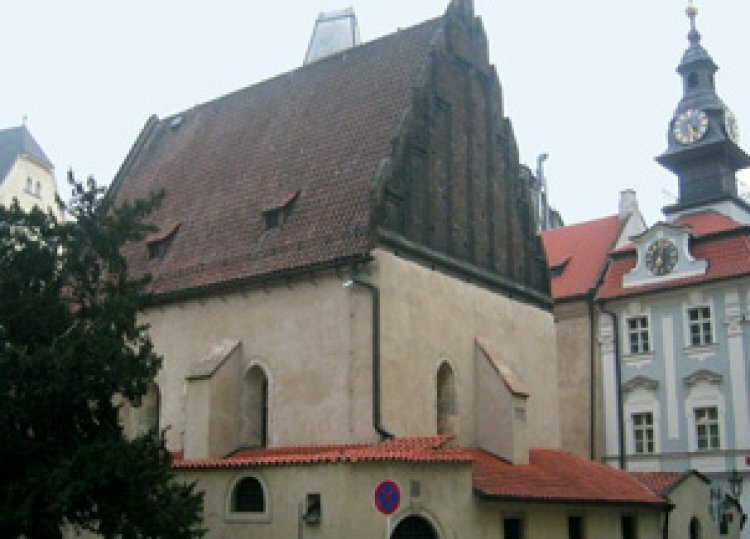 Even before the Maharal was appointed Rabbi or Dayan in Prague, he founded the local Burial Society and wrote its constitution, which later became the constitution for Burial Societies throughout Europe. 6. Mystical powers were attributed to the Maharal. The legend has it that he created a Golem of superhuman powers, based on the "Book of Creation" authored by the Patriarch Abraham. He appointed the Golem to watch over Jews and rescue them from their enemies. After the Golem had finished his duty, he was returned to dust. This Golem was called the "Golem of Prague", and books, movies, and a thriving tourist industry in Prague have been built around him. 7. Maharal was familiar with science, Kabbalah and philosophy. He began to publish books at an advanced age, and in 1578, at age 66, he published his first book, the Gur Aryeh, a five-volume commentary on Rashi’s commentary to the Torah. He wrote another 13 books. 8. The Maharal's wife was known for her scholarship. She was so erudite that she proofread her husband's books for mistakes. Some say that she put on tefillin, like Bruriah, the wife of Rabbi Meir, and Michal the daughter of Saul. 9. It is said that the Maharal was friendly with Emperor Rudolf II and had discussions over astrology and alchemy. The Maharal was in charge of the Jewish community affairs in Prague. 10. He died on 18 Elul 5369 (August 22, 1609), at the age of 97, and was buried in Prague. Among his outstanding students are the author of the Tosfot Yom Tov on Mishnayot and the author of the Kli Yakar on the Torah. Among his most prominent descendants are Rabbi Nachman of Breslov and the Baal Tanya, the founder of Chabad chassidut. Among the important life lessons we can learn from the Maharal is that it's not too late to marry at the age of 32, that money is not everything in life, and it’s never too late to publish a book.